Farmers across India are on a nation-wide protest from June 1, 2018, demanding better prices for their produce and loan waivers to pull them out of debt traps. 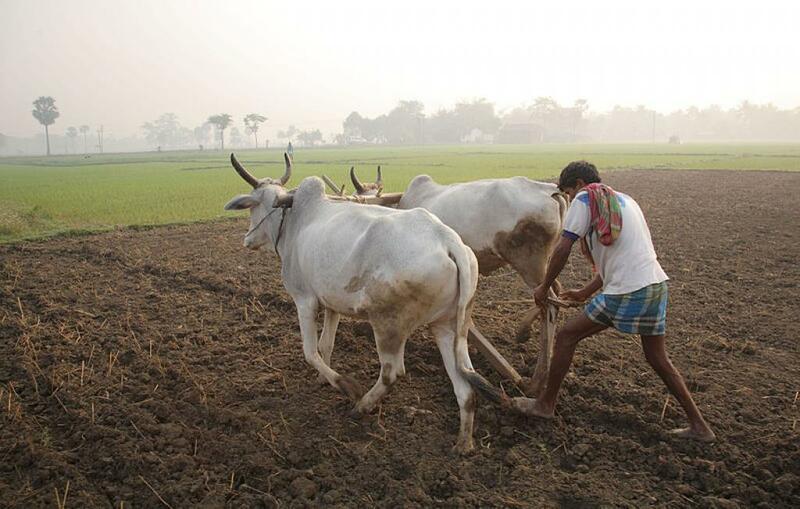 They are asking the government to guarantee a minimum income for farmers. Their discontent can be better understood when one considers that the farm income in the country increased by a measly 3.8 per cent in the entire decade between 2002-03 and 2012-13. In fact, real income (inflation-corrected) from the farm in 16 states and Union territories dropped in the decade. Even as the farmers come together demanding a solution for the dwindling farm income, ‘State of India’s Environment in figures’, an annual book published by Down To Earth magazine, brings to the forefront important facts which deserve attention and proactive action of the government. A farmer can earn an additional Rs 80,000 per hectare (ha) if they replace staple crops with horticulture, says Ashok Dalwai Committee Report on Doubling of Farmers’ Income. In fact, Rs 1,939 crore (at 2015-16 prices) is the estimated additional income farmers can earn if the area under horticulture is increased by just 1 per cent. In the next three decades, the demand for vegetables and fruits is projected to increase by 95 per cent and 228 per cent. These projections should certainly be considered by the government to encourage farmers to take up horticulture to increase their income. But it should also be acknowledged that vegetables and fruits (under the horticulture) are perishable produce and demand effective policies and institutions to connect farmers to markets and reduce their costs and risks. While Rs 92,651 crore per year is the post-harvest loss (including cereal) which is primarily caused by poor storage facilities and transportation of food crops. Ironically, the government estimates that an investment of Rs 89,375 crore—a figure marginally lower than the annual post-harvest losses—is all it takes to improve the state of storage and transportation facilities for all food crops. A deep dive into government’s own estimates revealed that except for the cold storage, the country is lagging behind in all other agri-logistics required to bring the produce from farm to the market. If plugged, this sector can serve a dual purpose—create more than 28 million jobs, a majority of which will be at the village level and increase farmers’ income by reducing the marketing risks. The government must also take a stock of the wholesale markets available for the farmers to sell their produce and plan for an additional 3,568 wholesale markets with priority to Uttar Pradesh, Madhya Pradesh, Rajasthan, Maharashtra and West Bengal. Budget 2018: Can Centre allay farmers’ concerns over price crash, low market density? The above valuable message was read and understood. I have started our Horticulture since the Year 2000. Yes , Agriculture must be diverted in to Horticulture. Farm must be Mechanized, Drip Irrigation is very important and made compulsory 100% to all farmers. Stroking facilities are very poor, cold storage must be encouraged by cdntral Government. The subsidy must go to the farmers account directly. Starting from top lever officers must as a patriotic by helping farmers not as a commission agent. This is my strong recommendation. Jai Hind, Vande Madaram.